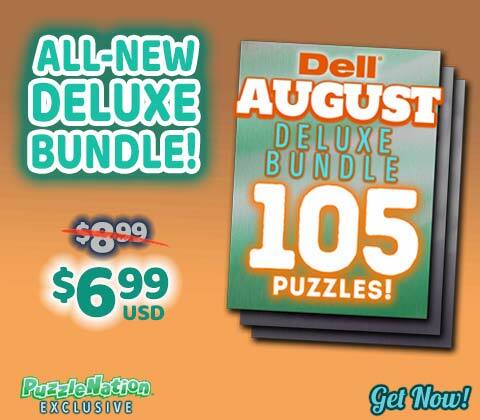 The August Deluxe Puzzle Set Has Arrived! It’s August 1st, and we’re celebrating the way we know best: by launching a new puzzle set for the Penny Dell Crosswords App! Our August Deluxe puzzle set just launched for both iOS and Android users, and it’s one of our best yet! Summer’s not over yet! Make the most of it and indulge in this marvelous puzzle bundle, designed for any skill level! 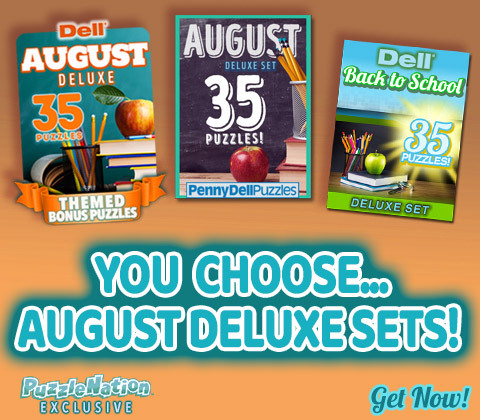 Offering 30 easy, medium, and hard puzzles, plus 5 August-themed bonus puzzles to delight solvers of all skill levels, the August Deluxe puzzle set is the perfect activity for a casual moment on the porch or a day at the beach! 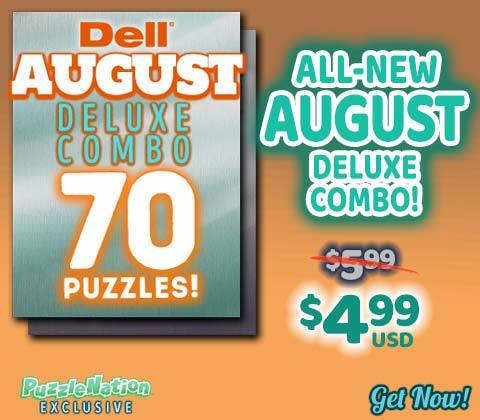 That’s right, double down on puzzle goodness with the August Deluxe Combo! 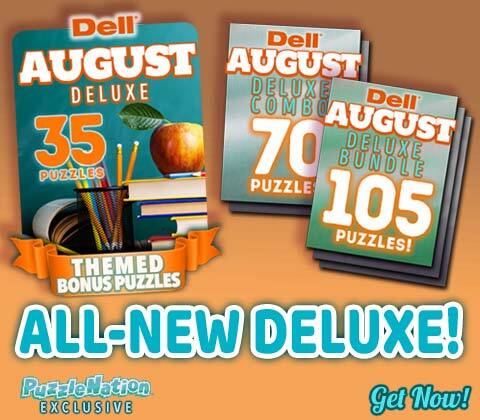 That’s 70 puzzles, including August-themed bonus crosswords for your puzzly pleasure! But maybe you need more! Maybe you want the most bang for your buck! If so, we’ve got you covered with the August Deluxe Bundle! That’s 105 puzzles, three times the crossword content and clever cluing, loaded and ready for you to solve! You can’t go wrong with these awesome deals! PuzzleNation is dedicated to bringing you the best puzzle-solving experience available, with world-class puzzles right in your pocket, ready to go at a moment’s notice! That’s the PuzzleNation guarantee.